You may need new batt insulation installed in your home in the Hickory area of North Carolina if you’ve noticed that your HVAC system doesn’t seem to be keeping a consistent temperature inside or that your energy bills are higher than they ought to be. Fortunately, 31-W Insulation is here to help with top-notch installation services of insulation from some of the best manufacturers in the industry, such as CertainTeed and Owens Corning®. We’ve been installing batt insulation and other home improvement products in the southeastern United States since 1972, so you can count on us to apply our decades of experience in making sure your home is properly insulated. 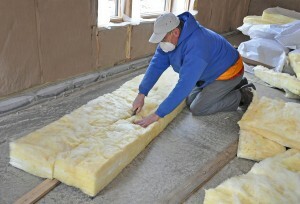 If you suspect your home may need new batt insulation, you can have our team come and thoroughly inspect your home for free to determine how much insulation you’ll need and where. To find out more information about the batt insulation installation services we offer in Hickory and elsewhere in North Carolina, contact 31-W Insulation today.